Welcome to the personal website of Prof. Dragan Primorac, M.D.,Ph.D. Dragan Primorac is a pediatric medical doctor, forensic expert, geneticist and university professor. From December 2003 to July 2009 he was a member of the Cabinet of the Republic of Croatia in the capacity of the Minister of Science, Education and Sports. Dragan Primorac with United States forensic “dream team”: Prof. Timoty Palmbach (Connecticut State Police), Prof. Mitchell Holland (Pennsylvania State University), Prof. Moses Schanfield (George Washington University), Prof. Michael Baden (New York State Police), Prof. Henry Lee (Connecticut State Police), Judge Haskell Pitluck (Past President of American Academy of Forensic Sciences). Dragan Primorac with sport legends Zvonimir Boban, Ivano Balić, Vlado Šola and Franjo Arapović during sporting competition for third-sixth graders of Croatian elementary schools – “Čokolino višebojac”. Dr. Dragan Primorac is a pediatrician forensic expert and geneticist. He is former Minister of Science, Education and Sports of The Republic of Croatia. He serves as adjunct professor at Eberly College of Science, The Pennsylvania State University, and Henry C. Lee College of Criminal Justice and Forensic Sciences, University of New Haven, in the United States and as professor at Medical Schools in Split and Osijek as well as at Department of Biotechnology, University of Rijeka, in Croatia. In October of 2016. he was appointed as a visiting professor at the College of Medicine and Forensics, Xi’an Jiaotong University, People’s Republic of China. In addition, he is member of the International Consortium for Personalized Medicine Executive Committee (IC PerMEd) established by The European Commission. He is the first recipient of the title “Global Penn State University Ambassador”. Currently he serves as the Chair of the International Affairs Committee of the American Academy of Forensic Sciences. Dr. Primorac is the founder of the Specialty Hospital for Orthopedics, Neurology and Physical Medicine and Rehabilitation “St. Catherine” in Croatia, cofounder of Department of Forensic Sciences at the University of Split, Croatia as well as cofounder of the Regiomed Medical School, Germany. Earlier in his career he gained his knowledge and experience working at The University of Connecticut, Health Center, Department of Pediatrics, Farmington, Connecticut; The University Hospital St. Christopher's, Allegheny University, Philadelphia, Pennsylvania; The Armed Forces Institute of Pathology (AFIP), Rockville, Maryland; The Analytical Genetic Testing Center, Inc., Denver, Colorado; Roche Molecular Systems, Alameda, California and Connecticut State Police Forensic Science Laboratory, Meriden, Connecticut, all in the United States. Dr. Primorac is one of the pioneers in DNA identification of skeletal human remains from mass graves. He authored close to two hundred scientific papers and abstracts in clinical and molecular medicine, genetics, forensic science, population genetics, genetic legacy of Homo sapiens and education, science and technology policy. Currently, he has particular interest in metabolic bone disease, cartilage disorders as well as in personalized and regenerative medicine. His work was published in most cited journals including Science and Nature. Dr. Primorac is a pioneer in the application of DNA analysis for identification of bodies in mass graves and the founder of forensic DNA analysis in the region. His papers have been cited 3760 times (Google Scholar) while h-index is 27. He has been invited speaker at more than 100 scientific conferences or meetings. Currently, he is a team leader of the Croatian partner in the international consortium within EU FP7 project entitled “Multi-dimensional OMICS approach to stratification of patients with low back pain”, worth 7.6 million euros. 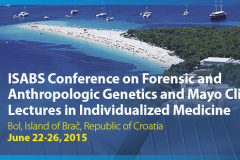 Dr. Primorac was invited speaker at more than sixty conferences all around the world. He is the co-founder and since February, 2015 he serves as the President of The International Society of Applied Biological Sciences (www.isabs.hr). In November of 2015 he was elected to lead the State competitiveness cluster in personalized medicine. Dr. Primorac received 21 domestic and international awards including The Young Investigator Award of the American Society for Bone and Mineral Research in 1992, The Michael Geisman Fellowship Award of the Osteogenesis Imperfecta Foundation in 1993, The Life Time Achievement Award by the Henry C. Lee’s Institute of Forensic Science in 2002, The Award of the Italian Region Veneto for Special Achievements in Promoting Science in the EU in 2007, The University of New Haven’s International Award for Excellence in 2010 and Presidential Award by the President of the International Association of Forensic Sciences for his contribution given to forensic sciences in 2011. In October of 2015 he has been awarded The State Science Award (the most prestigious national recognition by the Parliament of the Republic of Croatia) for his outstanding contribution to biomedical science. On February 12, 2015. Dr. Primorac received decoration “The Order of Croatian Star with the Effigy of Ruđer Bošković“, from the President of the Republic of Croatia for his extraordinary achievements in science. On June 2015, he was awarded with a special recognition for his outstanding service, dedication, professionalism and exceptional medical care and support to U.S. Embassy Sarajevo and Zagreb. 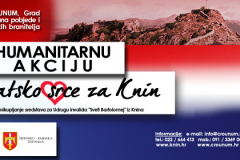 He is currently honorary citizen of five cities in and outside of Croatia. Several renowned media outlets, both electronic and print, have reported on the results of his work, such as the New York Times, USA Today, Chicago Tribune, Hartford Courant, JAMA, Lancet, Science, NBC, Channel 8 (Connecticut TV Station) etc. Dr. Primorac served as Minister of Science, Education and Sports of the Republic of Croatia from 2003 to 2009. According to the International Republican Institute survey of October 1, 2007, he was rated as the most successful minister in the Government with 31% approval rate. Under his leadership, chapters ”Science and Research” and “Education and Culture” were the first two chapters that Croatia closed in negotiations with the European Union. As the Minister of Science, Education and Sports, Dr. Primorac launched a series of successful reforms in primary, secondary and tertiary education as well as in science, technology and sports that significantly improved the system. Minister Primorac was able to secure the greatest increase of the budget for science, education and sports in the history of modern Croatia. The budget in 2003 was $1.2 billion while the budget in 2009 was $2.3 billion (including loans for Croatian universities). During his mandate, strategic documents such as the Education Sector Development Plan 2005 – 2010 and the Science and Technology Policy 2006 – 2010 were prepared and subsequently adopted by the Government and supported by the World Bank loan in the amount of €68 million (Education) and €31 million (Science and Technology). The award for numerous efforts made by minister Primorac and his team on the Croatian educational system was the survey of the famous Newsweek (August 16, 2010) which rated Croatian education system 22nd in the World, ahead of 12 countries from the G20 group. Prof. Primorac has received 20 domestic and international awards, including the Lifetime Achievement Award by the University of New Haven, Forensic Science Institute, New Haven, USA for contribution to the development of forensic sciences. Prof. Primorac has participated in numerous humanitarian activities and he was always ready to respond to initiatives and to participate in the events with the humanitarian character. Prof. Primorac was a member of the Cabinet of the Republic of Croatia as the Minister of Science, Education and Sports from December 2003 to July 2009. In this interview published by The Wall Street International Magazine, Dragan Primorac is talking about his scientific and sports achievements, political career, St. Catherine’s Hospital and his future plans. Penn State launched its new Global Ambassador Program by appointing Dragan Primorac to be the first ambassador of this University which was established in 1855. President Eric Barron officially appointed Primorac to this distinguished role Feb. 29 on the University Park campus.